Here’s another example of the forstue/stue two-room house plan. 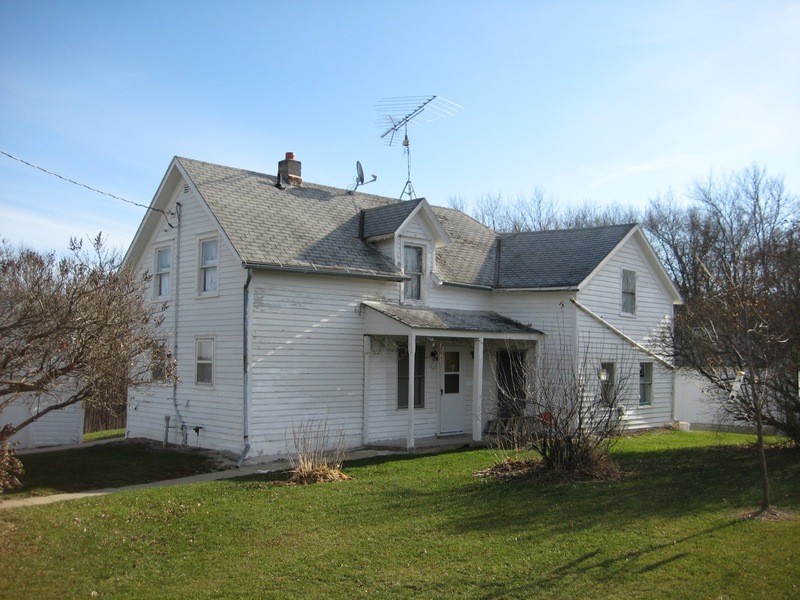 This largely unaltered house sits in Springfield Township at the intersection of old Lincoln Highway and Middle Calmar Road. Like I wrote about in the Haugen Hill House post, few examples of Norwegian log construction remain in the Washington Prairie community. This house is quite special. 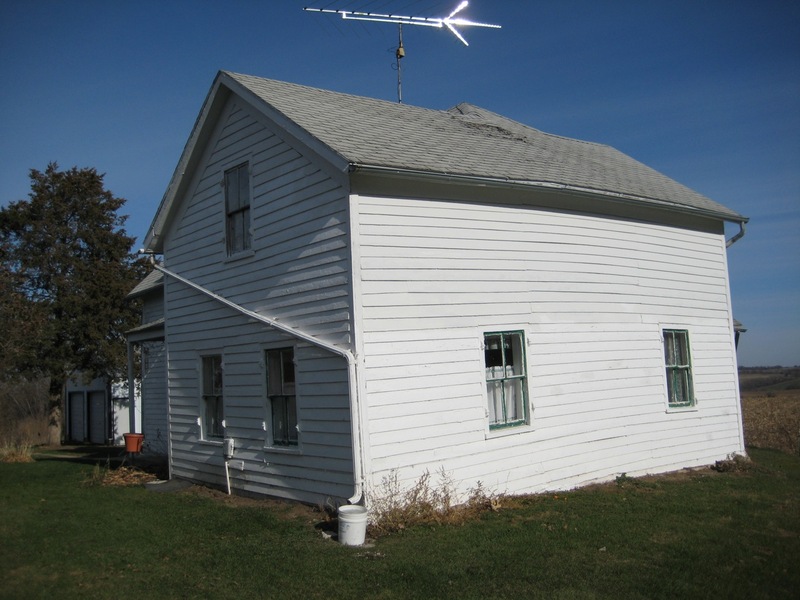 The original two-room house measures something like 16′ x 24′. The western 2/3 (the main room, or stue) of the dwelling is of log construction and the eastern 1/3 (entry room, or forstue) is framed construction. Like the Haugen Hill House, the 1/3 framed part was likely built by extending the upper plate logs the whole length of the house (24′) and supporting them at the end corners with upright heavy timber posts. What makes this place unique is how intact it remains. 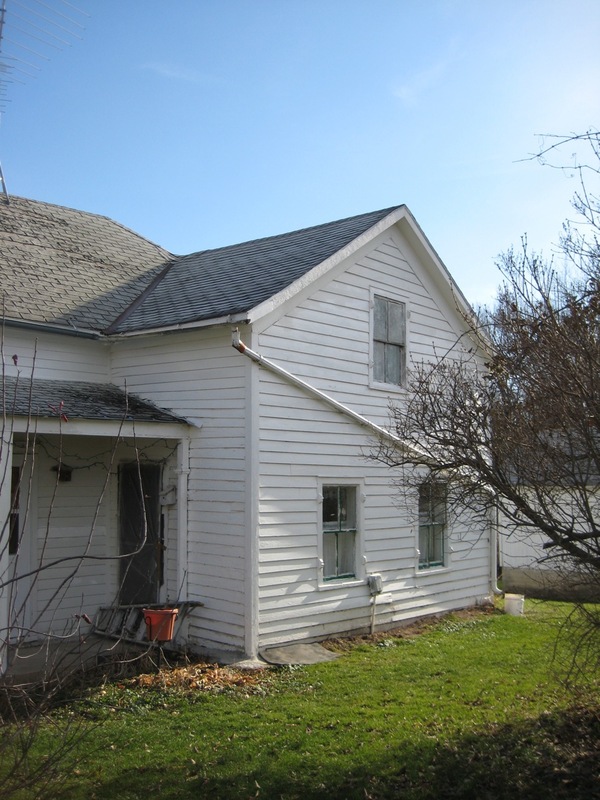 The exterior is clad in wood clapboard and all of the original 2/2 hung windows remain intact. 2/2 sash windows were common from roughly 1860-1880, but depending on the age of the house, these may have replaced earlier 6/6 windows. But I’d bet these are the originals. 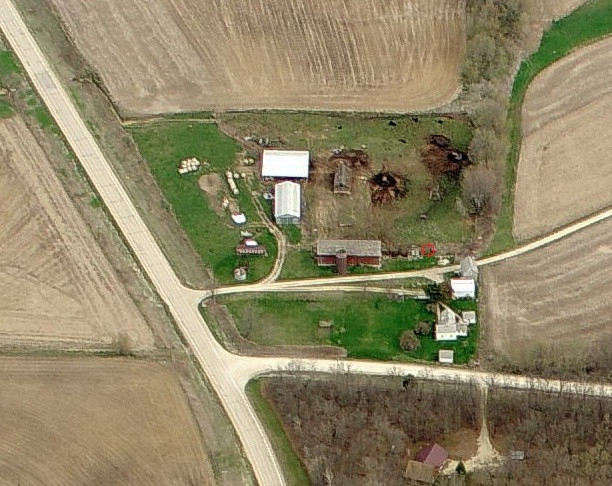 The adjacent barn is massive. It was constructed in 1885 of huge hand hewn timbers and measures 36′ x 80′. This entry was posted in Uncategorized and tagged Springfield Township, Winneshiek County on February 17, 2011 by Paul Cutting.